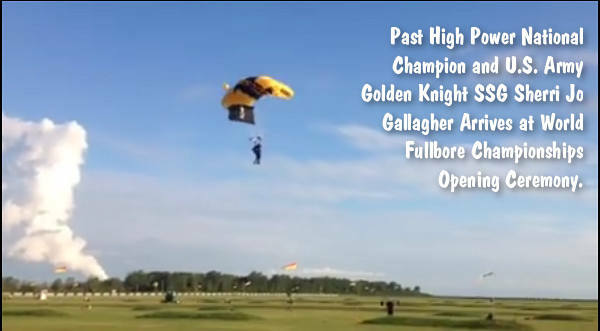 The U.S. Army Golden Knights parachuted in as part of the opening ceremony for the World Long Range Championships being held at Camp Perry, Ohio. Three of our sister teams, the U.S. Palma Team, the U.S. Veterans Team and the U.S. Under-25 Team will be competing against teams from around the world. Several members of our team, Ray Gross, Steve Hardin, Bryan Litz, and Lane Buxton, are part of the U.S. Palma Team. The format is very similar to our own World Championships. Everyone entered in the Individuals will shoot 15 shoots for record at 800, 900, and 1000 yards and they will complete that course of fire three times over the next several days. The team event fires the same course twice. The main difference from our style of shooting is that they will compete using aperture-type target sights and will be using an arm sling as support compared to the scopes and bipods that we use. The rings on our target are substantially tighter to account for the the greater stability and accuracy of the type of rifles that we use. Day One of the World Long Range Championships — we had Opening Ceremonies this morning which had our U.S. Army Golden Knights jumping in and the flag raising of each participating country. Sherri Gallagher, former USAMU shooter and now a Golden Knight, led the team as the first and solo jumper. I was sort of hoping she would land in the prone position with a rifle and start the competition. The rest of the Knights fell from the sky and landed perfectly on the X. 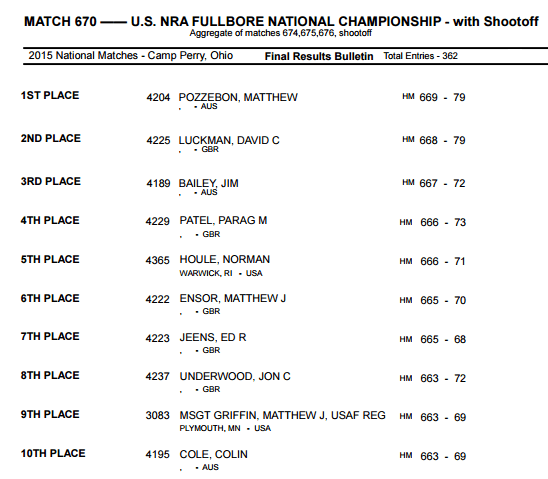 The U.S. Fullbore Nationals consisted of individuals and various team events as well as the biggest event, the America’s Match. The USA has never lost the America’s Match at home. We won it three years ago here at Perry and last summer up in Canada. Yesterday was not in the cards. First let me congratulate Great Britain for some outstanding shooting. They lost a total of 17 points for 8 shooters all day and took the Gold. Australia came in second, South Africa 3rd and the USA in 4th. Very humbling yes. One of our coaches had to leave at the middle of the match for a family emergency as well. So I believe the kinks are done and we can move on successfully for this coming week of Worlds. We have the best shooters in the U.S. on our team. Things will turn around. Three women were in the top 25 of the Fullbore Nationals: Michelle Gallagher, Trudie Fay, and Jane Messer. 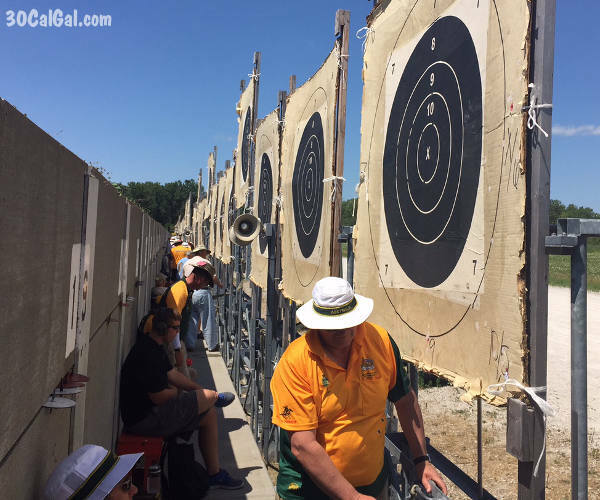 Our Veterans and Under 25s had their World Championship team events as well. Our Veterans took the Gold and the USA Under 25s took the Bronze. The GB kids shot very well and received Gold and Silver medals. 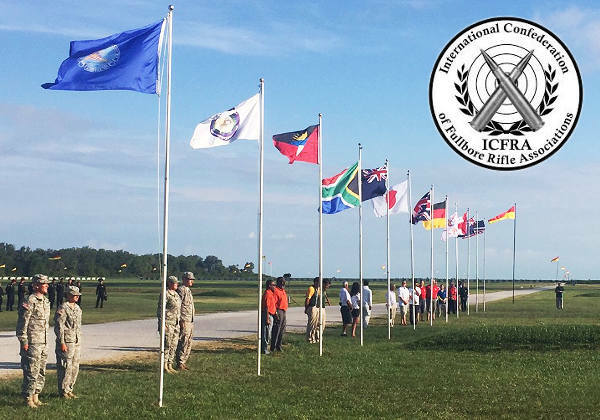 Share the post "World Fullbore Rifle Championships Commence at Camp Perry"
We expect suppressors (also known as “cans”, “silencers” or “sound moderators”) to become even more popular in the years to come. This trend will continue: “As more target shooters and hunters realize the many benefits suppressors provide, their popularity across the United States will continue to increase,” said NSSF Senior Vice president and General Counsel Larry Keane. Currently, 41 states permit ownership of Federally-registered suppressors. While suppressor ownership rates are increasing in all those 41 states, forty percent (40%) of all registered suppressors are found in five key states: Texas (130,769), Georgia (59,942), Florida (50,422), Utah (50,291) and Oklahoma (27,874). 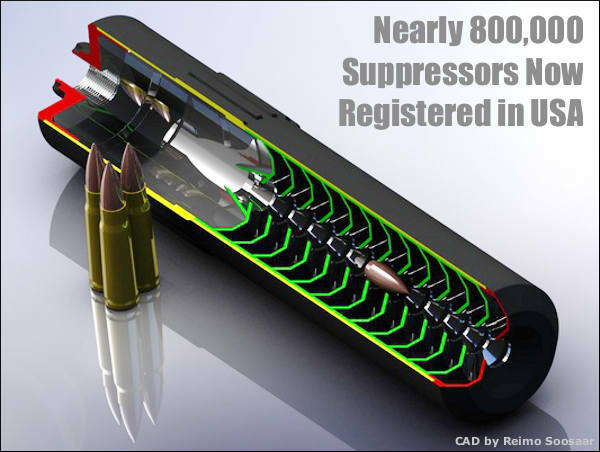 Suppressor CAD drawing by Reimo Soosaar, hosted on GrabCAD.com. 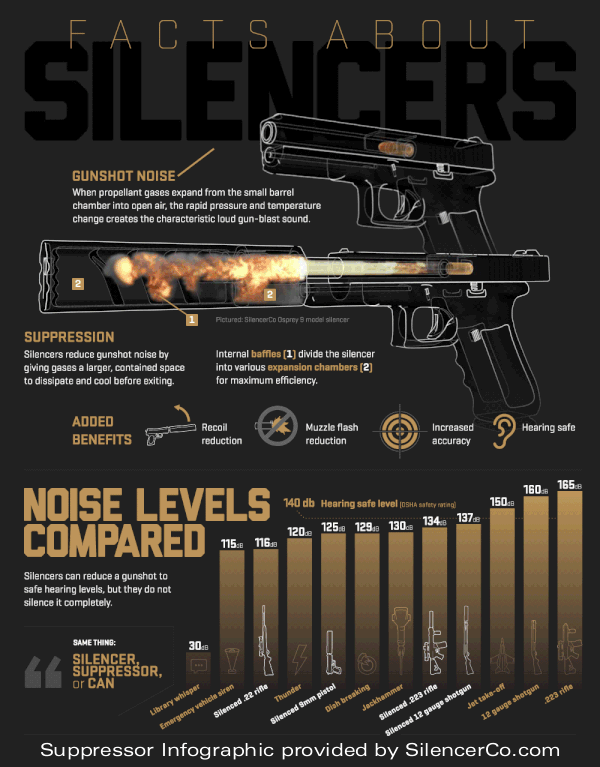 Share the post "39% Increase in Suppressor Ownership in Past Year"
Looking for a good job in the firearms industry? The NSSF has you covered. The NSSF Jobs Site site offers up-to-date job listings, powerful search features, and a mobile-friendly interface. It’s easy to upload your Resumé, and the Job Alert feature can send you new listings via email as soon as they post. Visit jobs.nssf.org for current employment opportunities in the shooting, hunting and outdoor industry. Share the post "Firearm Industry Employment Opportunities on NSSF Website"